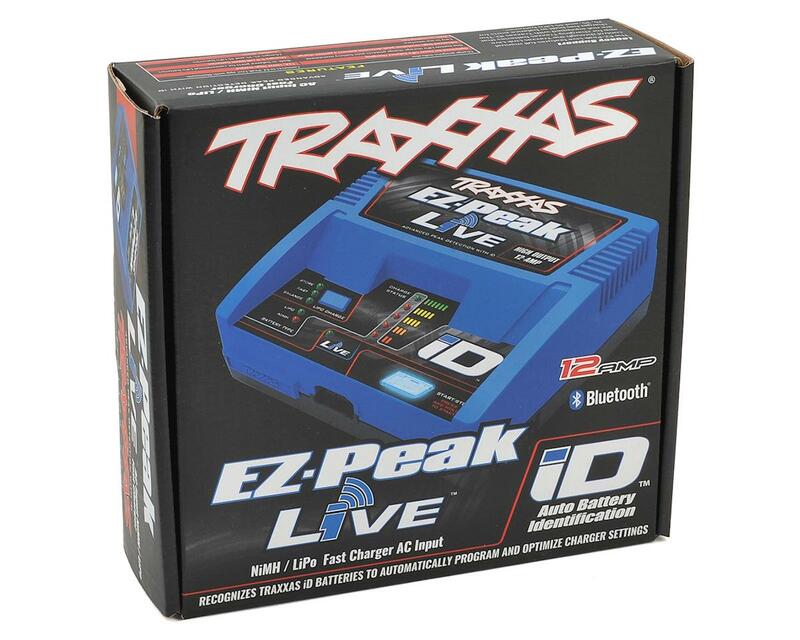 This is the Traxxas EZ-Peak Live Multi-Chemistry Battery Charger, with iD Auto Battery Identification. There has never been an easier or safer way to charge your batteries than with the Traxxas iD system. Now you can bring that technology to bear using your smartphone or tablet! Connect to the EZ-Peak Live app on your mobile device to experience a high definition graphical user interface. Your mobile device now becomes a powerful tool to check battery cell voltage, monitor charge status, create and store battery profiles, receive alerts, and access advanced user functions and information. 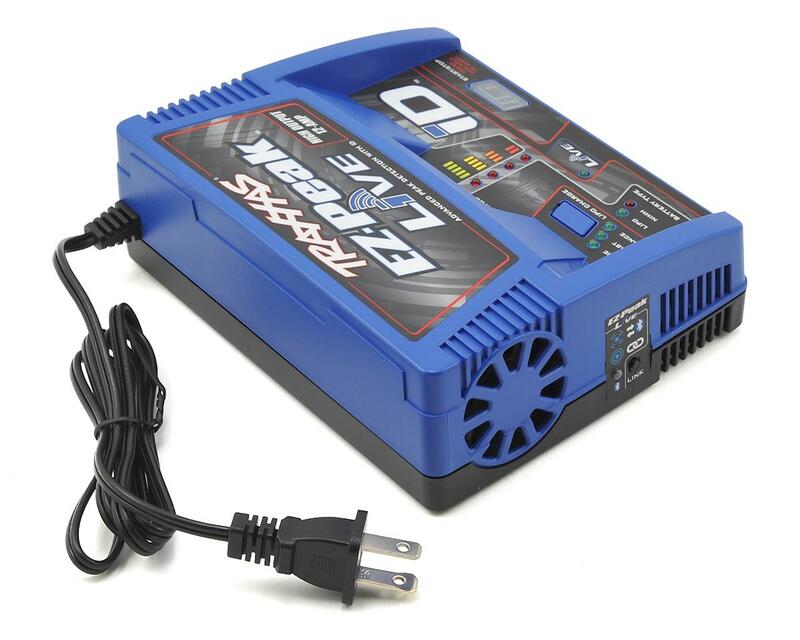 The EZ-Peak Live charger recognizes Traxxas iD batteries and in an instant automatically configures and optimizes the charger settings. There's no need to be a battery expert or learn how to navigate complex menus. 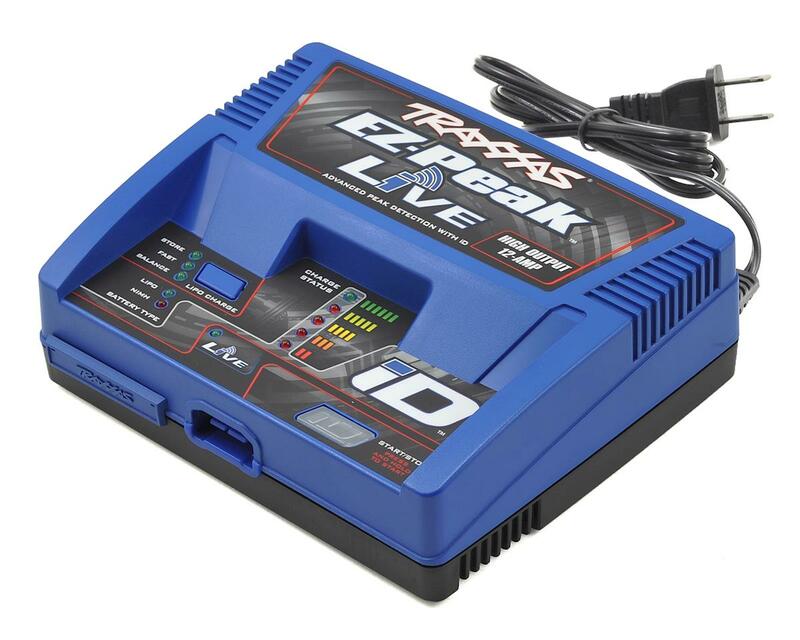 Just plug in a Traxxas iD battery and the EZ-Peak Live does all the work for you. The integrated balance connector on Traxxas LiPo iD batteries eliminates fragile balance wires and connectors, along with the need for external balance boards. At the press of a button, the EZ-Peak Live Storage Mode protects your LiPo battery investment by safely preparing the batteries for extended storage. Advanced high-resolution peak detection deliver a perfect charge every time. Parental lock function for worry-free iD-only charging, or full manual control through the free Traxxas EX-Peak Live app.